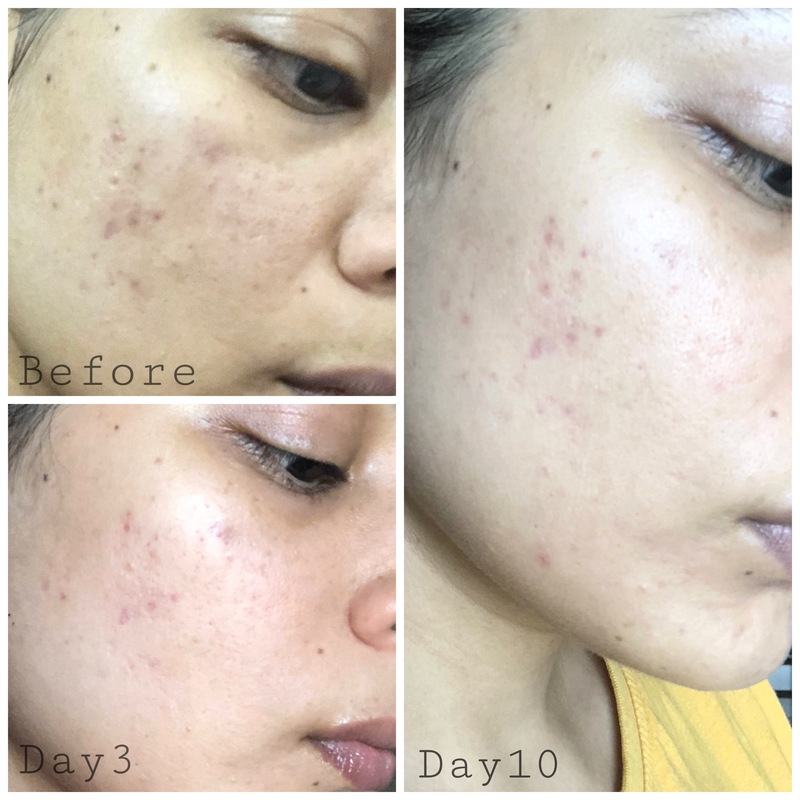 I have been suffering from acne for YEARS now and as I have gotten older, the scarring left behind by acne seems to be getting worse… what used to be little pink spots that disappeared within a week have now turned into huge brown scars that take months to fade away. I’ve also noticed that my acne is more under the skin and there’s a lot of texture which means that when I apply makeup it almost never looks smooth and flawless. Yes, makeup hides the scarring and pigmentation, but you can still see the bumps and texture in my skin and that is something that has always made me feel very self-conscious. Recently, I was contacted by About Face to come in for a skin treatment and I thought I would share my experience with you today. This blog post contains complete details of the laser session including Before & After pictures as well as a short video covering all the steps of the laser treatment that I’ve posted on my Youtube channel (it is linked at the end of the post). 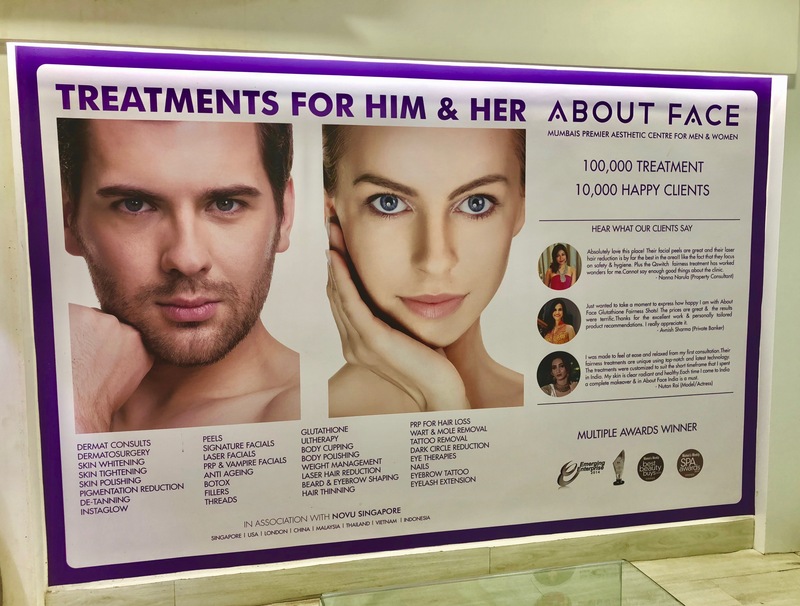 So I visited the About Face, Malad Clinic in Mumbai and was greeted very warmly at the reception by Jyoti who then introduced me to Dr Pooja, the dermatologist at the centre. 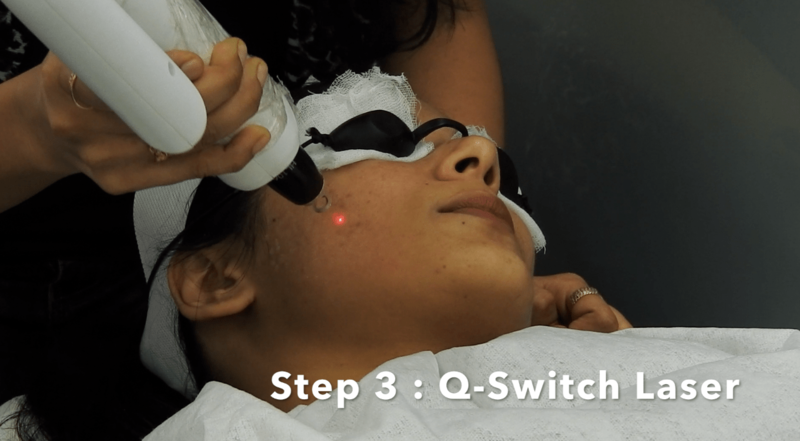 After having taken a look at my skin and asking me my skin concerns, Dr Pooja introduced me to a skin treatment called Q-Switch Laser, which targets issues like hyperpigmentation, uneven skin tone, sun spots, sun damage or suntan as well as tattoo removal. Afer a couple of days of getting the treatment, I have to say I am very pleased and impressed with the results, so keep reading if you would like to know more about the treatment and see the before and after. First, let’s understand a little bit more about the treatment. 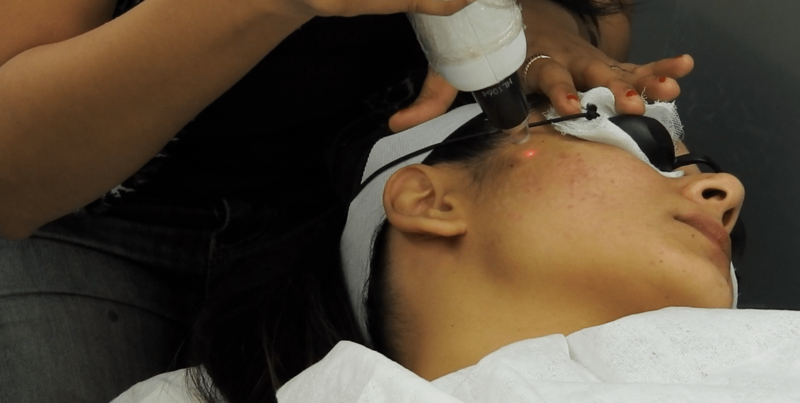 So, About Face offers the Q-Switch Nd-YAG Laser Treatment that effectively decreases acne scarring, pigmentation, moles, freckles, superficial tan, brown spots as well as sunspots. You could also get the same treatment done for tattoo removal, age spots, melasma and removal of birthmarks. 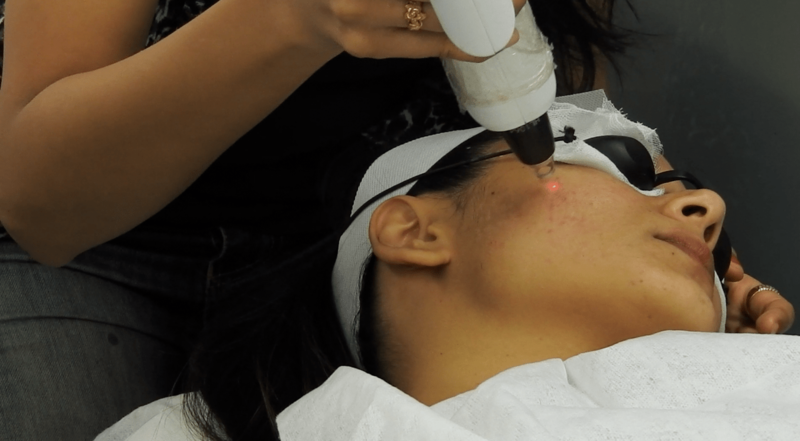 Now you must be wondering – How does the Q-switch laser treatment work? Now coming on to my experience – Once I was completely convinced of the treatment, I was escorted to the room where the treatment would take place. The room was very neat and clean and it had the machine that would be used for the treatment. Jyoti started off by double cleansing my skin to remove all makeup, dirt and impurities from my skin. She then followed with a mild exfoliator and gently scrubbed away all the dead skin from my face and neck. 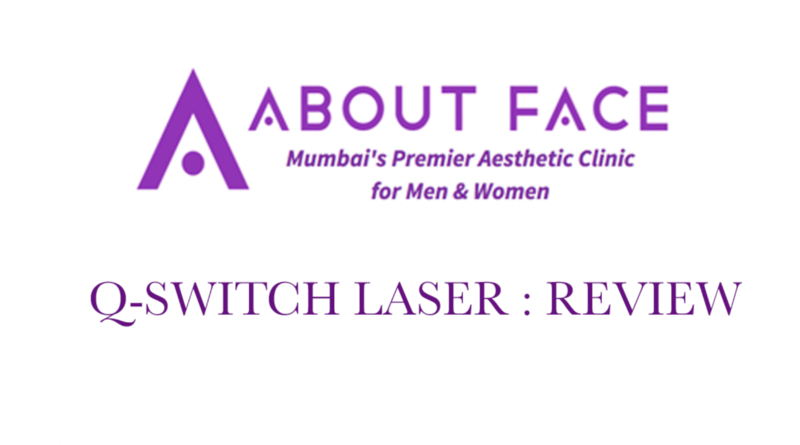 She then used a toner to soothe my skin before Dr Pooja started the Q-Switch Laser Treatment. The first thing that was done was covering my eyes with gauze and placing protective glasses over my eyes. Dr Pooja warned me that I would feel slight itching and stinging on my skin and she told me to let her know if I could or could not bear it. The laser machine sounds like a toy gun and it feels like little sparks hitting the skin. I won’t lie, it is uncomfortable and it will hurt just a tiny little bit – nothing unbearable though. A few seconds into the treatment I could smell slight burning smell and I guess that is because I have facial hair that was being burned/bleached by the laser. The treatment in itself is super quick – the laser took no more than 10 minutes, which makes Q-Switch Laser Treatment the perfect lunch-time procedure! Once the laser session is over, it is followed by the fourth step, which is aimed at soothing and calming the skin. Jyoti applied a very cooling face mask on my skin and left it on for about 15 minutes. The last and final Step 5 is the application of a healing cream mixed with a good high SPF Sun Protection Cream. I loved how there is no downtime with this treatment, so you can go back to work or carry on with your day per usual right after the treatment. By the end of the treatment (the whole thing takes about 45 minutes), I could see visible results in my skin, which is so rare after only 1 session. My skin was lighter and brighter, the scarring and pigmentation from my acne were no longer brown, but almost pinkish in colour. Have a look at these before and after pictures to see for yourself. 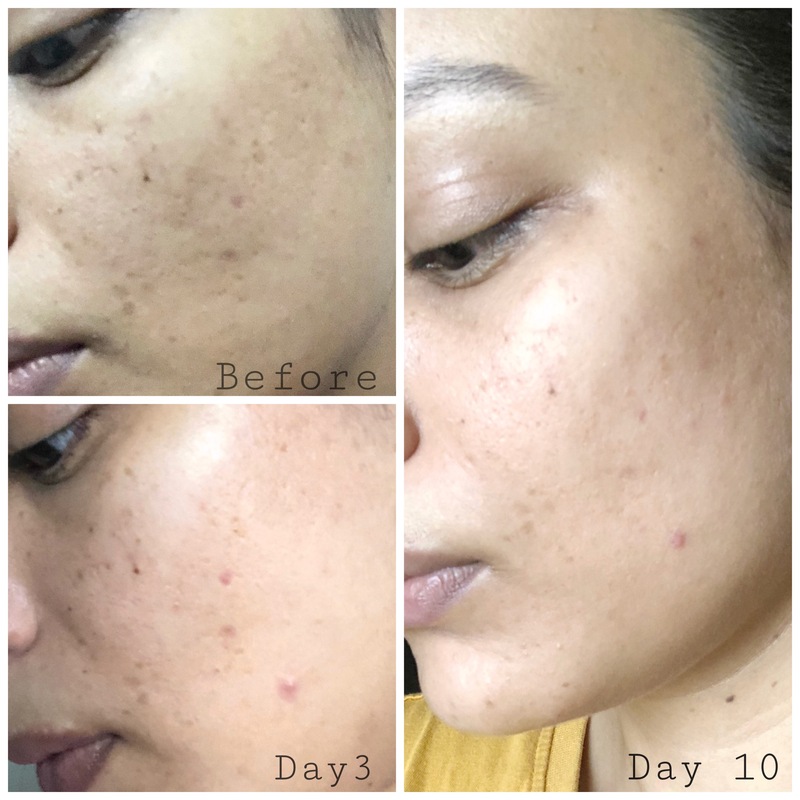 I took the ‘After‘ pictures 3 days and 10 days respectively after the treatment and you can already see how much lighter the scarring and hyperpigmentation has gotten…I’m very pleased! If you have very sensitive skin, expect some redness and white spots right after the treatment, but don’t worry, as these go away within an hour after the treatment. Spots and scarring will darken initially, but in a couple of days, you will see the pigmentation breaking and lightening. It is recommended you do not use any facewash/soap or any kind skincare for 48 hours after the treatment. Wash your face with plain water and the doctor will give you a cream to apply in the night (for 2 nights). No using your usual facewash, toner, serum, moisturiser…NOTHING! Also, avoid using any makeup for at least 24 hours after treatment; 48 hours would be great! Apply an SPF 30 or more religiously in the following days and weeks. It is recommended that you apply sunscreen thrice in a day – 8 AM, 11 AM and again at 3 PM. For optimum results, you might need 4-6 sessions (based on your skin and concerns). A 15-25 days gap is recommended between each session. You can also get better results by combining a Q-Switch Laser treatment with chemical peels or a microdermabrasion session. Important Note: This laser treatment is not recommended if you are pregnant or if you have a medical history of herpes simplex virus or cold sores. Kindly consult the doctor before you go in for this laser. Overall, I’m quite happy with the results. Considering I’ve only had 1 treatment session so far, my acne scarring and hyperpigmentation has lightened remarkably. Don’t get me wrong, the acne scarring and hyperpigmentation is still there, but it’s started to heal a lot and I’m hoping it will lighten further in the coming days. 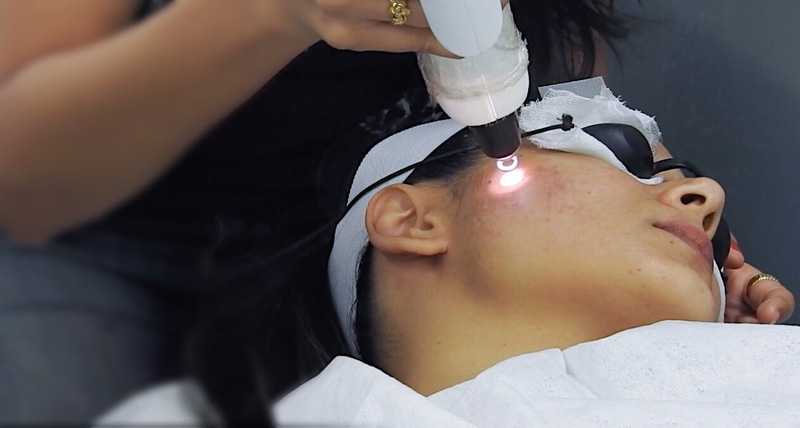 Will I go in for another Q-Switch Laser Treatment at About Face?YES, I will definitely be following this with more Q-Switch Laser Treatments till the acne scarring and hyperpigmentation is completely gone. Once again, as for the procedure, I think it was quick and fuss-free. The after-care is very simple. I felt no itching, burning, peeling or sensitivity following the treatment. The only thing I did was apply more sunscreen and keep out of direct sun as much as I could. 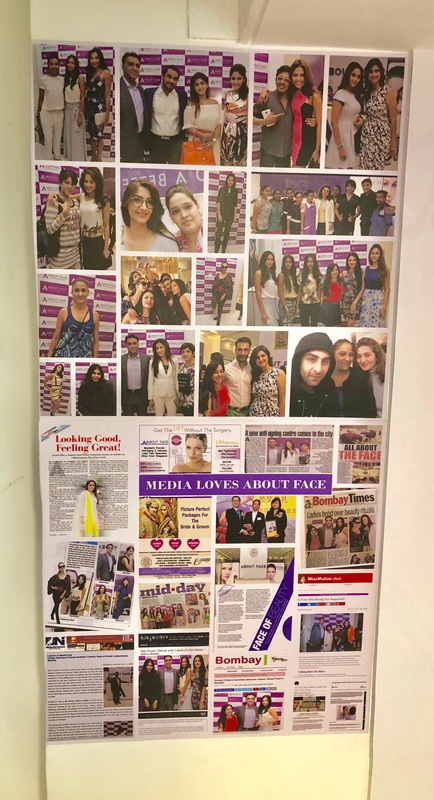 I would like to say a big ‘Thank You’ to About Face for inviting me and taking care of my acne scarring and pigmentation. 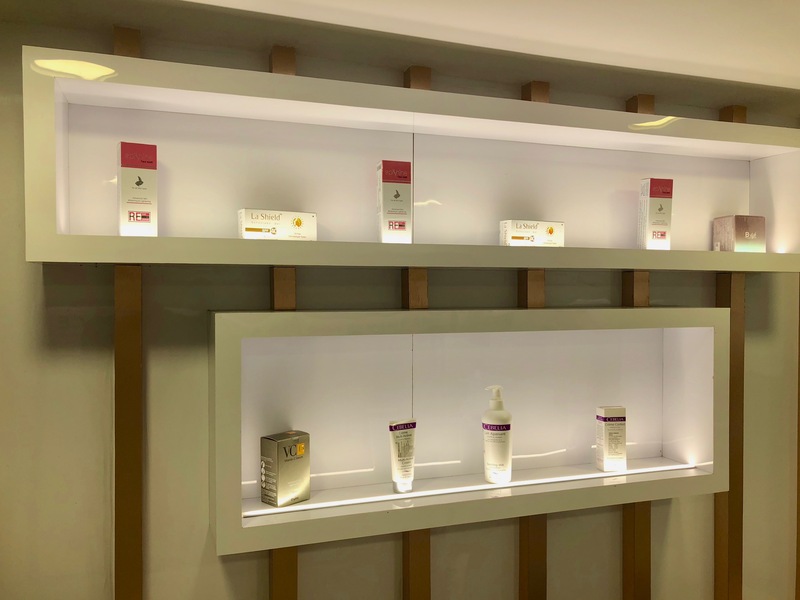 I can’t wait to book my second appointment with them and would HIGHLY RECOMMEND that you pay them a visit if you have any of the skin concerns we talked about in this blog post. They are a fantastic team and I’m sure they will provide you with the best skin care solution. …And don’t forget to check out About Face‘s Website HERE to know all the treatments they offer!